Wishing all of our friends and family south of the border a Happy Thanksgiving. Watching the Macy's parade right now and thinking of New York City. 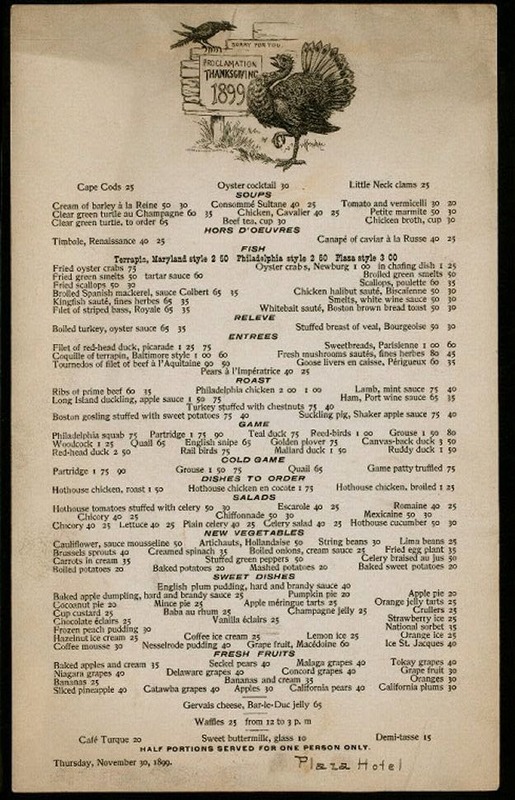 If you decided not to cook on Thursday November 30, 1899, this is what was being offered up at the Plaza. One of the many esoteric delicacies was Coquille of terrapin, Baltimore style. You could also have it Maryland, Philadelphia or Plaza style. Turtle. Enjoy your turkeys! Thanks to everyone who has been in touch over the past couple of months to inquire about a new store opening, ask about art and merchandise, or just to say hello. It's hard to believe that it has already been almost three months since we left Port Hope. We are really enjoying our new city and our new home and have been actively on the lookout for a space for Michael Thomas, Hamilton. While we haven't secured a space yet, we have narrowed the search and hope to report back soon with a new address. If you would like to keep up on what's happening, please enter your email address to sign up for updates and notices of current postings. While we aren't adding any product postings until we have a storefront, we will be posting things that we hope are of interest to you. With a little extra leisure time on our hands, when not working on our home or searching for a space, there have been some interesting discoveries. I have shared a few over the last couple of months and here is another from this past week to check out. 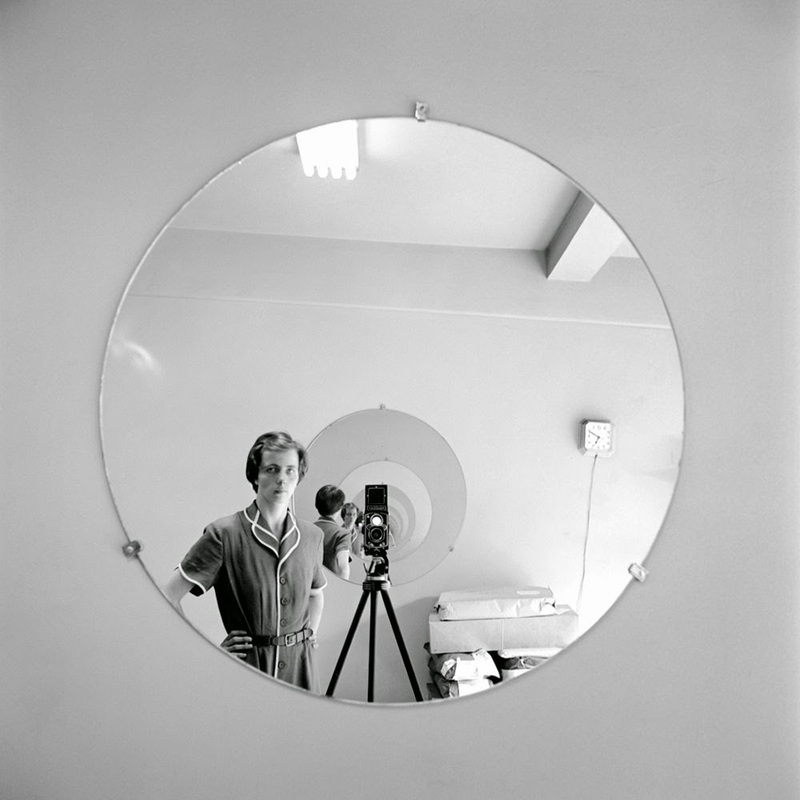 "Finding Vivian Maier" is a fascinating documentary about Vivian Maier who was a nanny and a street photographer. After she died in 2009, items in her storage facility were auctioned off to settle unpaid bills. She left boxes and boxes of undeveloped negatives that were purchased by the maker of the documentary, John Maloof. What he discovered is extraordinary, and the film reads like a cross between "Gray Gardens" and the doc. on N.Y. Times photographer Bill Cunningham. If you click on the link below, it will take you to a P.B.S. page where you can download the whole documentary.